Teliana Pereira está nas oitavas-de-final do WTA International de Bucareste, na Romênia. A brasileira passou por situações distintas no jogo, com paralização por chuva, interrupção por falta de luz natural, salvar match point, para enfim, depois de um dia – 3h24min de jogo, ganhar da eslovaca Kristina Kucova (133a), por 6/3 6/7(4) 7/6(6). Nesta quinta, ela volta a jogar contra a cabeça-de-chave 3 do WTA, a romena Monica Niculescu. O WTA de Bucareste é o segundo de uma série de 4 torneios no saibro que Teliana está jogando. Ela foi semifinalista, na semana passada, do ITF de Contrexeville e depois jogas os WTAs de Bad Gastein e Florianópolis. Agora em 2015 quebrou um jejum de 27 anos do Brasil ao conquistar o primeiro título da carreira no WTA de Bogotá. Semanas depois atingiu a sua melhor posição no ranking até hoje, a 74a. Atualmente ela é a 83a. Teliana conta com os patrocínios da Asics, CBT/Correios, Deloitte, Estácio e Wilson e tem a sua carreira gerenciada pela LinkinFirm, do ex-tenista profissional Marcio Torres. Há alguns meses estou lendo, vendo imagens e acompanhando a história de Brian Baker, que vem sendo chamada de conto-de-fadas pelos jornais ingleses. Adiei o quanto deu escrever sobre ele, mas agora é de fato por merecimento. Nesta segunda, a mais valiosa do tênis mundial, em que são disputadas as oitavas-de-final masculina e feminina de Wimbledon, ele enfrenta o alemão Philipp Kohlschreiber para tentar alcançar, pela primeira vez na carreira, aos 27 anos, as quartas-de-final de um Grand Slam. O fato seria normal, muitos tenistas às vezes alcançam as quartas-de-final de um torneio importante depois de anos de luta pelo circuito. Mas, no caso de Baker, ele ficou seis anos praticamente sem competir, passando por cirurgia atrás de cirurgia – foram três nos quadris, uma no cotovelo direito e a outra devido a uma hérnia esportiva e trocando as quadras da ATP, por um curso de finanças, treinamento para os tenistas da University de Nashville jogando até o inter-clubes de Tennessee. Mas, o ex-número dois do mundo juvenil (2003), nunca deixou de acreditar no seu potencial. Só não sabia se o corpo aguentaria dois, seis ou doze meses seguidos de disputas intensas no circuito. E mais e mais histórias surgiam do tal Brian Baker. Costumo ter uma excelente memória. Lembro nomes de tenistas, datas de jogos, fatos do esporte, detalhes da vida dos tenistas, mas não sei porque não lembro de Brian Baker no juvenil, de ter visto ele jogar, ou ouvido o nome dele. Fui vê-lo jogar em Roland Garros e o rosto também não é carismático. Brian Baker, se já foi um tenista americano mimado quando estava entre os melhores juniors do mundo, é um cara mais do que normal. Joga com o patrocínio de roupa da não tão conhecida ADNA (Athletica DNA) roupa, está viajando sem técnico e agora é apenas um de dois tenistas dos Estados Unidos, ao lado de Mardy Fish, que podem chegar às quartas-de-final no All England Lawn & Tennis Club. Mas, para chegar até o estágio onde está hoje, além de ter passado seis anos lutando para se recuperar de cirurgia atrás de cirurgia, sem nunca deixar de acreditar, ele recomeçou a carreira tenística há 11 meses, do zero. O primeiro torneio que ele jogou foi um Future, em Pittsburgh, em que teve que passar o qualifying – e só entrou no quali com um convite da USTA – para conquistar o título. No final do ano ainda passou o qualifying do Challenger de Knoxville e conquistou o trofeu de campeão. Jogou apenas cinco torneios em 2011. Começou 2012 perdendo na segunda rodada de um Future na Flórida. Dois meses depois já havia vencido dois torneios da categoria e em abril vencia o Challenger de Savana, tendo passado o qualifying. Foi então que comecei a ler algumas histórias sobre Baker. O torneio seguinte que ele jogou após o Challenger foi o ATP de Nice, em que novamente foi do qualifying até a final, ganhando de três top 100 e perdendo para Nicolas Almagro. 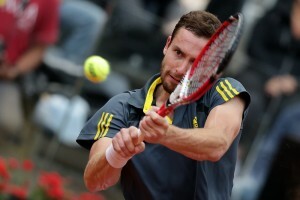 Com um convite para a chave principal de Roland Garros, derrotou Xavier Malisse na primeira rodada e perdeu em cinco sets para Gilles Simon. 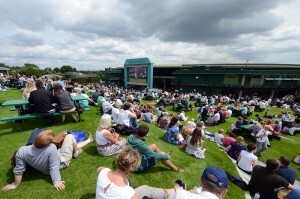 Perdeu no qualifying de Queen’s e teve que jogar o qualifying de Wimbledon, em Roehampton, para entrar na chave principal do Grand Slam inglês. Em 2005 ele havia jogado o qualifying nas mesmas quadras e perdido na primeira rodada, tendo que abandonar o confronto com Novak Djokovic, com uma lesão logo no primeiro set da primeira rodada. É a carreira dos dois foram para caminhos praticamente opostos. Baker precisou de sete anos para pisar de novo na grama inglesa e de duas semanas para cá ele já venceu seis jogos no Grand Slam mais tradicional do tênis, três do qualifying e três na chave principal. 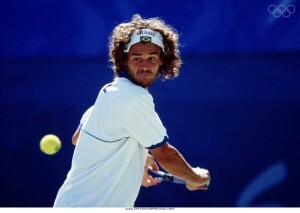 Antes das disputas de Wimbledon e Roland Garros, Baker havia vencido apenas um jogo em um Grand Slam, em 2005, no US Open, em que ganhou de Gaston Gaudio. 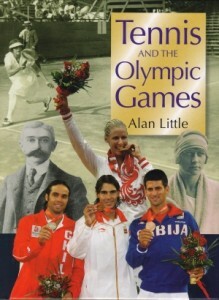 Por toda essa história vale a pena ler alguns trechos da entrevista coletiva do americano antes dele entrar na quadra 12, nesta segunda, em busca da inédita vaga nas quartas-de-final de Wimbledon. You’ve come from playing challengers to the now the second week of a major. Are you still having any ‘pinch me’ moments? BRIAN BAKER: I will. I’m sure I will. It’s been unreal. When I’m on the court I know I definitely have nerves. Closing out the match you definitely know what’s on the table, what you can accomplish. I mean, I missed a few shots at the end that I probably wouldn’t miss if it was the quarters of a challenger and not trying to get to the round of 16 at Wimbledon. It is crazy kind of what’s going on. But I’m still trying to stay focused on the task at hand and not get too wrapped around. Because once you do that, I think it’s tough to be able to play your best tennis once you’re happy that you’ve been there. So I’m trying to every match go in there hungry and try to win the next one instead of, I’m in the Round of 16 of Wimbledon; this is awesome. Q. You were in the hunt for a wild card here; ended up playing in the qualifiers. In retrospect, was that a good thing? BRIAN BAKER: Yeah. Looking at it now it’s a good thing. I don’t know if you look at it first‑round quallies when you’re walking on the court that it’s the best thing. I wasn’t that disappointed that I didn’t get one. I needed the match practice on the courts. My only grass court match was at Queen’s quallies and I lost. Didn’t feel I was comfortable on the stuff. Q. Seven years since you’ve been on a grass court before Queen’s? BRIAN BAKER: There’s actually two grass courts at the club where I grew up at back in Nashville. I think I played once like hit‑and‑giggle tennis on that. Played kind of a pro‑am doubles tournament up in the Hamptons with a buddy from Nashville on grass. But those courts are nothing compared to these. They’re a lot softer. It had been seven years since I played on a similar‑style grass court. Q. At what point did you actually say to yourself that you could play second‑week Grand Slam‑level tennis? BRIAN BAKER: Right now (laughter). Nice. I’ve been saying all along that Nice was huge for my confidence. Not just getting to the finals, but having quality wins over good players. I know it’s a totally different surface, but it just kind of validates how well I was playing at that time. Once I got those victories, I don’t know if I’m actually playing better tennis now, but during the key moments of the match, which basically determines a lot of the matches, I’m confident I don’t have to step outside my comfort zone, that my game is good enough. Q. If this would be the best achievement of the comeback and the best moment of the comeback so far, what would have been the worst moment? BRIAN BAKER: Since the comeback? Q. In general, of all you went through. BRIAN BAKER: I’ve gotten that asked a lot. It’s hard to pinpoint the one exact time. I think I said that before I had the elbow surgery, because I knew I would be out for so long and I wasn’t going to keep on having surgeries to prolong my career. That was probably one of the more difficult ones. I think anytime you have surgery, sitting in the operating room, sitting in rehab, it’s not going perfectly to plan. For me I kept on having surgeries. At one point you’re like, Why is my body not cooperating? Am I ever going to get out to play? I think that happened around the same time as the elbow surgery. Q. Did you have an idea of what else you would do? BRIAN BAKER: I went back to school. I was studying business ‑ finance in particular. I don’t know if that was going to be my calling, but it was something I was interested in. Also I was coaching tennis. I think college coaching in the right kind of position that would interest me as well. Q. You have to look out for your own prize money now. BRIAN BAKER: I’ll be able to know what they’re telling me about my money. Q. 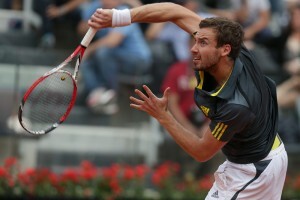 What are your thoughts on playing Kohlschreiber? 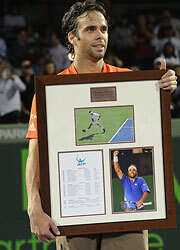 BRIAN BAKER: I’ve never actually ‑‑ I think I played him in doubles a long time ago, maybe like 2004, 2005. We can pretty much throw that out. I never really practiced with him or played him in singles. It will be a new match, I think, for both of us. I’ll try to get together with some people that know how he plays and try to get a game plan together. I don’t know what he’s ranked, but he’s obviously top 25 or 30. So he’s a great player. So I’m sure I’ll probably be the underdog again going into the match, which is fine for me. I’m kind of happy being the hunter going in there. I know I’ll have to play my best match to win because he’s a great player. Q. Can you tell us a little bit about the first tournament when you came back, the futures event in Pittsburgh. BRIAN BAKER: What do you want to know about it? Q. Is it right you actually turned up and said you wanted to play it? BRIAN BAKER: Unfortunately, when you have zero points you kind of are at the luck of the drawing, if you get in quallies even. At first cut I was not in quallies, and so I had to actually get a wild card from the USTA to even play quallies. So I got the call pretty late. I don’t know if someone pulled out or not, but I got a call I think on Thursday evening. I was actually on the golf course. They were like, Okay, do you want to? I was like, Sure. I left the next morning and drove up there because it was tough to get a flight. Signed up for quallies and started my next round the next day. I was able to win three qually matches and then the five main‑draw matches without losing a set. Q. If you would have been told then that you would be in the world’s top hundred by then, what would you have said? BRIAN BAKER: Wow, how would I have done that? What tournaments did I do well at? Like I said, I’ve always been confident in my game. I always knew I was a good player. It was just whether the body would cooperate and whether I could get more than even six, eight, twelve months healthy and able to play. Because, I mean, coming back of course I wasn’t just playing awesome tennis and winning every tournament. I had some lumps down the road. I’m just so happy that I have been able to play this year a full schedule and now I’m finally kind of finding my stride and doing well. Q. Novak said there’s 128 players in the draw and everybody is hungry. Is that how you feel? How do you feel about it? BRIAN BAKER: Yeah, right. I think you have to go on the court each time and think that you’re going to win or you shouldn’t even go out there. I know the top three and top four especially, they’ve kind of been dominating the Grand Slams as far as like who’s winning the Grand Slams. But I don’t look at the draw. Like when Nadal lost I knew he was in my half, but it’s not something that I was thinking about when he lost, Oh, now I can go even further in the tournament. Every time I have a match, I’m always ranked lower and always probably the underdog. It is nice that maybe you can say it’s a little more open. But, you know, I don’t pay that much attention to that. I just go onto the court, whoever I’m playing, try to have a game plan, be confident, try to play my best tennis. Q. Do you remember a time when you were off watching a Wimbledon final thinking it would be really nice if you could get out there and play on that Centre Court one day? BRIAN BAKER: No, I think it’s great when you can play on any of the biggest courts at each of the Grand Slams. 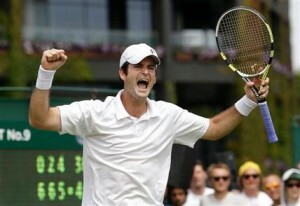 I’ve played at Louis Armstrong at the Open; I’ve played now Chatrier at the French; haven’t played the Australian yet. I think it’s awesome anytime you can go out and play on one of those courts just because not that many people in the world get to do that. If I ever get a chance to play on it, it would be great. 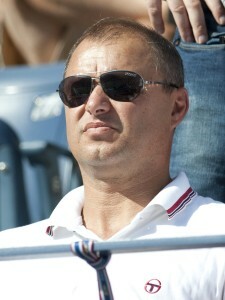 I don’t know when I was watching the tennis at that time. I guess I was probably in the middle of recovering from one or another surgery. I don’t know if I was thinking, I’m going to be playing right there. 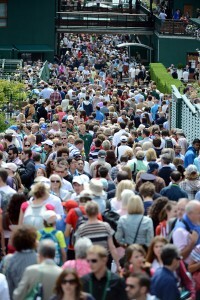 Ever since a child, I’ve always dreamed it would be great to play on Centre Court at Wimbledon. 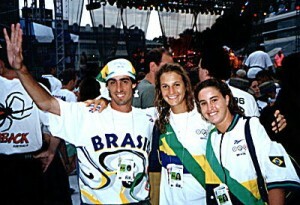 Há quatro anos, quando estava na turnê de despedida de Guga, especialmente em lugares como o Sony Ericsson Open (Miami), o Brasil Open e Roland Garros, onde fizemos vários eventos, as pessoas me perguntavam dos momentos mais marcantes e o que foi mais especial. Claro, que além de ter trabalhado durante mais de 10 anos com uma pessoa incrível que foi número um do mundo, ganhou o Masters, Roland Garros três vezes, etc e ter feito parte de momentos mágicos da história do esporte, foram as pessoas que eu conheci ao redor do mundo. Algumas foram breves encontros, marcantes ou não, mas outras foram encontros duradouros, que se repetiam a cada ano, em cada torneio. 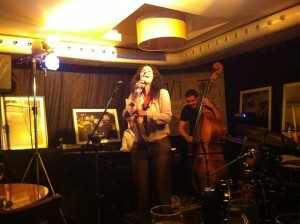 Havia os torneios mais especiais, como, de novo, Miami, em que tenho amigos até hoje e Roland Garros, em que há 14 anos tive o imenso prazer de conhecer uma cantora, compositora, intérprete, brasileira, Catia Werneck. Neste fim de semana, no Rio, muitas temporadas depois e muitas vitórias depois do Guga que assistimos juntas e muitas festas depois em que ela cantou, não só nas comemorações dos títulos do Guga, mas em eventos em que foi chamada pelos torneios para cantar, tive a honra de ouví-la cantar. Não foi a primeira vez e não será a última. Catia veio ao Brasil para fazer uma turnê do seu disco mais recente, Primavera e mostrar um pouco do enorme sucesso que faz na Europa e na Ásia por aqui. Cantou, se divertiu e cativou o público, acompanhada de músicos de altíssima qualidade e sensibilidade. São essas as melhores coisas de uma profissão como a minha. Manter uma amizade que começou num torneio de tênis e foi além de uma boa festa com música e champagne. Um pouco do show da Catia que encerrou a turnê no Brasil – no Vizta, no Hotel Marina, no Leblon. Quando o Nicolas Lapentti anunciou a aposentadoria dele do tênis, no ano passado, tive a sensação de uma grande perda para o tênis sul-americano. 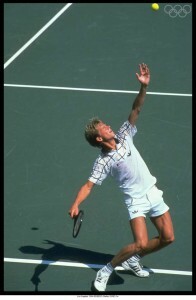 Afinal, era mais um tenista que esteve entre os o top 10, jogou o Masters, enfrentou os melhores do mundo, se despedindo das quadras e sem sucessores à vista (pelo menos, próxima). Ainda não tinha parado para pensar muito no Fernando Gonzalez, até acompanhar online o jogo dele de despedidado ontem, no Sony Ericsson Open, contra o Mahut (perdeu por 75 46 76(3), assistir a linda homenagem feita pela ATP e relembrar na minha cabeça os grandes momentos do chileno. Pouco a pouco os grandes nomes do tênis sul-americano que tiveram papel fundamental no circuito da ATP, no final da década de 1990 e durante os últimos 12 anos, vão deixando o tour. Guga foi embora em 2008, Nico Lapentti, no ano passado, Gonzalez neste ano. Marcelo Rios já tinha dito adeus há muito tempo. Gaudio, Coria, Cañas, Zabaleta, Calleri, entre outros, também já não estão mais competindo. Se houvesse uma renovação, o momento seria nostálgico mas com um futuro bom para a região adiante. No entanto, se tirarmos Juan Martin del Potro, hoje não temos um tenista sul-americano que consiga chegar longe nos maiores torneios do mundo. Para uma América do Sul que já teve 4 top 10, ter apenas 9 top 100 a situação é preocupante. Preocupa ainda mais não ver nenhum sul-americano brilhando no Banana Bowl. Ídolos que são capazes de mexer com os corações de uma nação são raridade hoje em dia na nossa região. Estive no Chile em algumas ocasiões quando Gonzalez estava no auge, no ATP de Viña del Mar. Presenciei a força da torcida chilena em diversos torneios pelo mundo e acompanhei com colegas jornalistas chileno o impacto que ele tinha – tem – no País, alcançando final de Grand Slam, enfrentando os maiores do mundo, jogando Copa Davis, ganhando medalha olímpica. 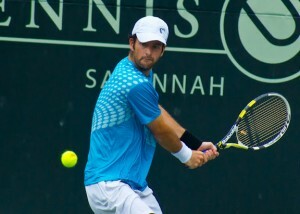 São lacunas de jogadores tops – Gonzalez chegou o a ser o 5º na ATP – que vão ficando vazias e que farão falta num futuro bem próximo. Sem falar, que todos esses jogadores – Guga, Lapentti, Gonzalez, Canãs – entre outros – são bons rapazes, figuras bem quistas em todo o circuito. Para quem não viu ainda, tem o vídeo de homenagem que a ATP e os tenistas prepararam para Gonzalez na noite de quarta-feira, em Miami, exibido na quadra central do Crandon Park. A reciclagem é um caminho sem volta. Iniciativas sustentáveis aumentam nos eventos. Tenho andada afastada do meu blog, por pura falta de tempo e inspiração também. Escrever por escrever, não é o meu caso. E quando aculumamos funções de mais, acaba faltando tempo para sentar, pensar, se inspirer, escrever. 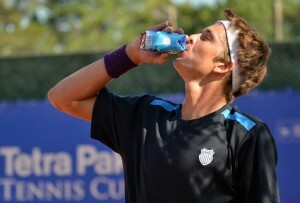 Mas, nesta semana, na Tetra Pak Tennis Cup, em Campinas, encontrei o momento e a inspiração. Desde o começo do ano venho trabalhando com o Tião Santos, os catadores de recicláveis, entrando em um novo mundo e em todo evento de esporte ou não que tenho alguma participação venho tentando incluir cada vez alguma ação sustentável. Fizemos algumas ações nos últimos eventos da Try Sports, em Campos do Jordão – MasterCard Tennis Cup e no Itaú Masters Tour. Participamos com a Rede Extraordinária da Coleta Seletiva do Back2Black e do ART RUA. Agora, na Tetra Pak Tennis Cup, conseguimos montar diversas ações que saíram do papel e vieram para ficar. Sinto orgulho de fazer parte desta estrutura e de ter conseguindo com o pessoal da Tetra Pak todas essas iniciativas. 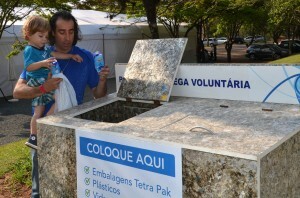 Os jogadores todos se surpreendem com a água embalada em caixinha tetra pak – assim é 100% reciclável – e com as ações pela Sociedade Hípica de Campinas. Fernando Meligeni, em visita ao torneio, participou da campanha para entrega voluntária de recicláveis, em um PEV (posto de entrega) que ficará na Hípica, permanentemente. São novos tempos e cada vez mais empresas estão entendendo que a reciclagem veio para ficar. É um caminho sem volta e benéfico. Simples ações que fazem e muito a diferença. Separação dos aneis das latinhas de refrigerante para o projeto FRATO SOCIAL – transforma os mesmos em cadeiras de roda.